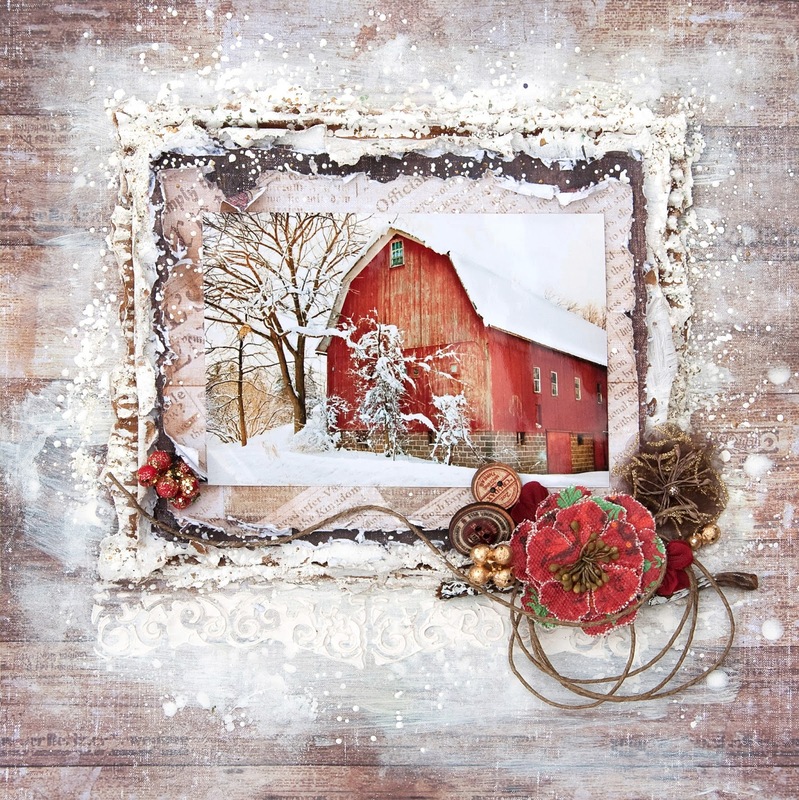 FabScraps has some wonderful collections being released this winter, one of which is the Country Living Collection. They are rustic looking and invite you to relax, kick back, and enjoy the paper. 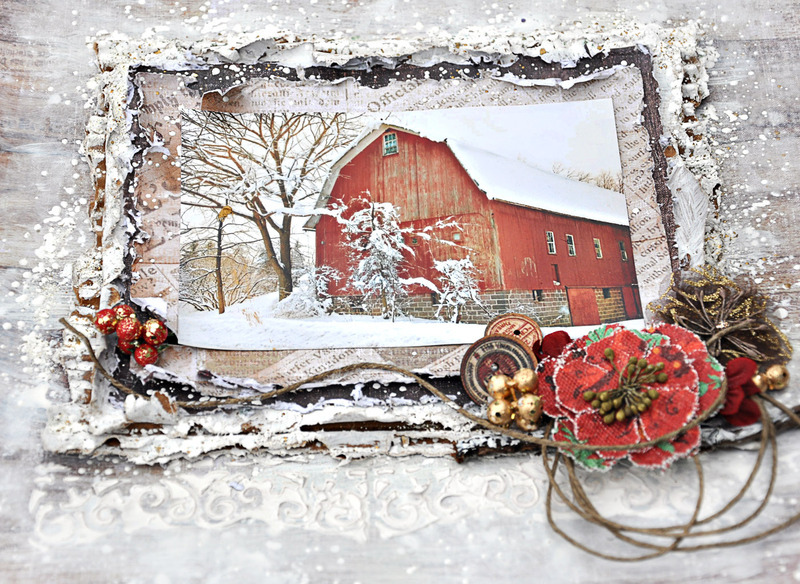 While they are not winter themed collections, I chose to use the rich wood graphics to frame by winter barn. This is a photo of a barn down the street from where I live. We were having a snow storm and my boss sent us home early from work in the hopes that we would stay home and off the road. Well, not a chance. It was my opportunity to take some cool winter photos, starting with this barn. The FabScraps paper with the wood grain was so perfect for this photo and the look I wanted to capture. This is country living! 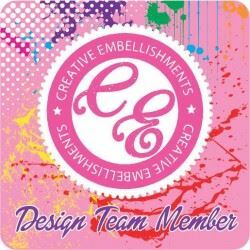 You can find some easy step instructions as to how my page was created - scroll down the page to the end. I used several layers to create my frame. A layer of ripped cardboard that has been coated with embossing powder. Next a few layers - FabScraps Country Living - Extravagance 1 (C62001)and next Classic Vintage 2 (C62004) if you are looking in the reference image from FabScraps. I embellished with some flowers and wood buttons from Prima Marketing resting upon a stick from the yard that I touched up with some gesso. around the page and then melting with a heat gun. I also sprayed some Shimmerz Vibez - Snow storm mist on the page. 2. 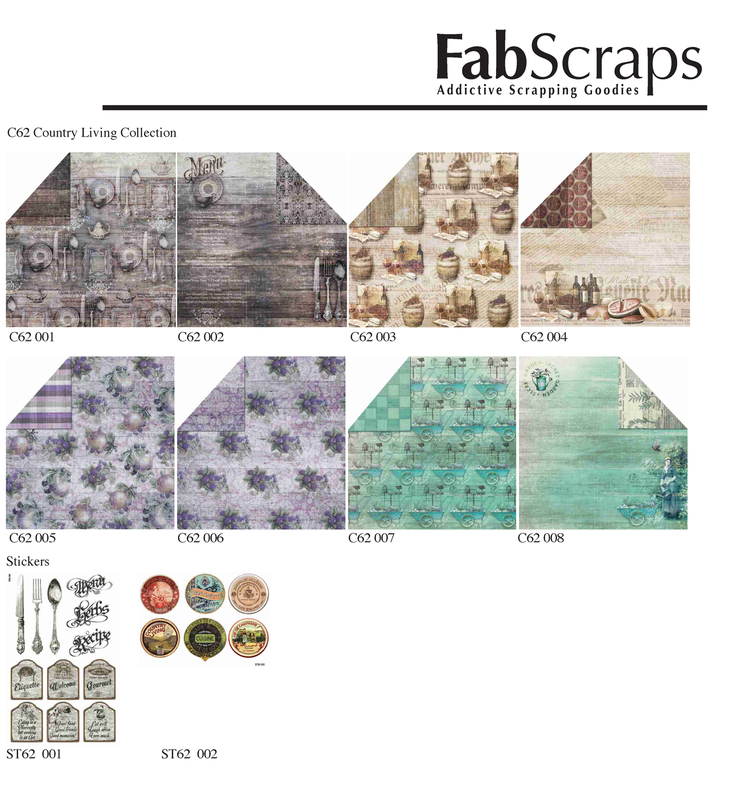 Start with FabScraps Country Living Classic Vintage 1 C62003 sheet. Lightly paint a whitewash (watered down) of gesso or white acrylic paint onto the sheet, covering most of the page. Mist with white mist to enhance the white background and make snowy. 3. Rip a sheet of cardboard 8in x7in making sure the edges are ragged and the corrugation is showing. Paint the edges and the top of the cardboard with gesso or white acrylic. 5. Cut another rectangle even smaller yet of FabScraps Classic Vintage 2 C62004. Distress edges. Glue to cardboard. 6. Emboss the edges of the cardboard with white embossing powder. Make sure some of the powder spills onto the edges of the paper layers. Sprinkle some embossing powder loosely around the page. 7. Set embossing powder with heat gun. This will look like falling snow. 8. Glue to middle of page. 10. Stencil a border edge under the cardboard layers using gesso or molding paste. . Let dry. 12. Paint the twig with gesso or white acrylic. Glue to bottom right side of cardboard. 13. Coil up twine, letting a piece about 6 inches trail. Glue coil to the twig and glue trailing twine to the page. 14. 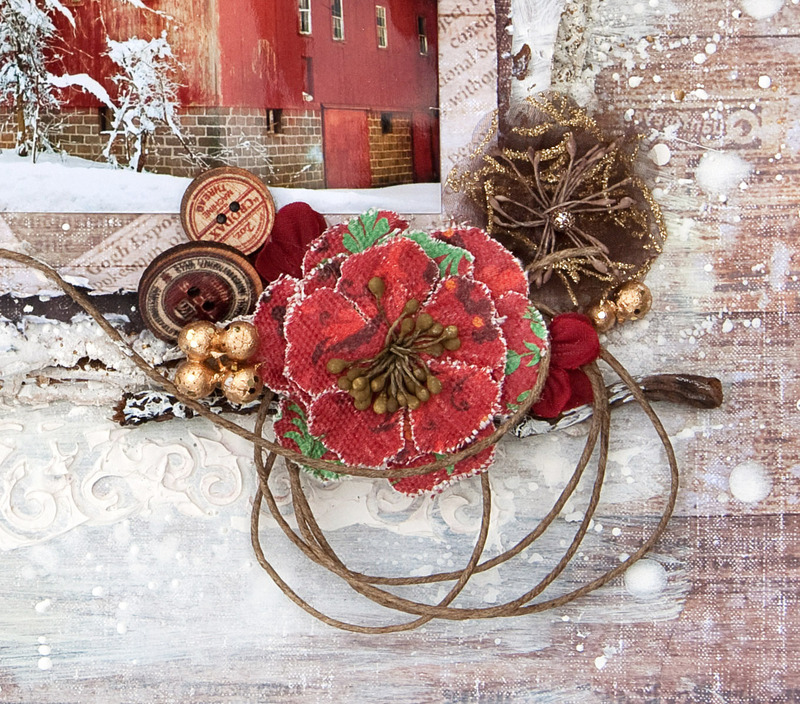 Add flowers, wood buttons, floral berries. Wow Jennifer! I find this so exquisite! I love the red barn with all the beautiful details that you have added. This is one of my favorites. Found this on scrapbook.com and had to visit your blog. Beautiful. 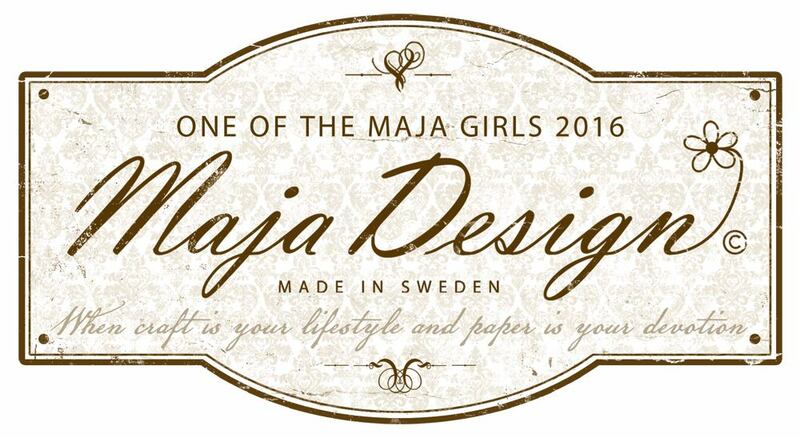 Thanks for showing the fab scraps collection. Put it on my list for my next order. You're so talented! Michelle t.